At the beginning of this month, David Elliott challenged us to write a letter poem to a bird, animal, or other object of our choice. He suggested we research our topic, no matter how familiar we were with it, in order to bring a little-known fact or unique angle to our work. The results were delightful! You responded with humorous and wonder-filled poems, addressed to recipients as small as a snail and as large as the frozen winter. Congratulations to everyone who found their way through the process, and thanks again to David Elliott for a challenge that not only keeping us writing this month, but kept us learning as well! I’ve turned most every leaf and stone. in the ‘insect’ sort of way. don’t let yourself be swallowed. mistake you for a pill. © 2015 Damon Dean. All rights reserved. I love you on my lap. I love to hear your purr. And what’s with all the fur? © 2015 Katie Gast. All rights reserved. I’m having trouble fitting in. I feel unhappy in my skin. they carry torches bright with flames. with pitchforks, clubs, and wooden brooms. When I say, “Hi,” the parents flee. It’s almost like they’re scared of me. Sorry, I don’t mean to whine. Your song is heaven to my ear. I sing your praise adoringly. Poor heart! I never stood a chance. for when you swoop and scream my name. all’s well, my dear – I don’t feel slighted. I spied some beaming red berries. The place you love so well. On leaves of green and red. Or a feast you’ll be. Please hurry as you go. Advice from your good friend. © 2015 Jan Gars. All rights reserved. For you to wear a speedo. And dive for fish all day. As tides are swept away. A chick be born real soon. With the rising of the moon. Where it’s rocky and it’s hilly. Astride a nest of mud and silt. Then fish and clams your gullet fill. A spectacle in morning light. I'd like to have those ears that flap, to cool my body down. 'Cause when it's hot and sticky, I'm not fun to be around. My brother, he can wiggle his, but mine won't move at all. Maybe you can teach me on my zoo field trip this fall? Can't you find your own food? There’s no need for such a bad mood. This dish is the dog’s. I won’t leave! You’re hogs. © 2015 Sydney O'Neill. All rights reserved. you, and your friend, the snow. © 2015 Elizabeth Steinglass. All rights reserved. We’re delighted you are here. to see your frozen face. to show you Southern grace. Oh Snow divine! Oh house so warm! You fill my heart with gladness! my joy will turn to sadness. a warmer welcome won’t be found. © 2015 Keri Collins Lewis. All rights reserved. Please use your peen to release me. Crack me open. Set me free. Release the magic. Let out my song. Release the starlight. Show me you're strong. A jealous witch cursed, turned me to stone. I'm trapped in this rock and I'm all alone. to our TV screens we’re glued. one hundred feet up in the air. you bring your mate a tasty dish. roll those eggs, then get some rest. waiting to hear your newborns’ song. © 2015 Catherine Flynn. All rights reserved. Watch the video that accompanies this poem at Catherine's blog, Reading to the Core. 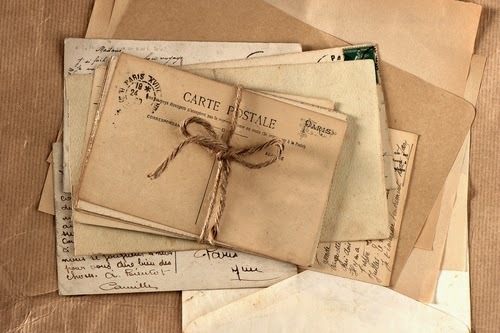 to send your letter poem to TodaysLittleDitty (at) gmail (dot) com or use the contact form in the sidebar to the right. Alternatively, you may enter the giveaway by commenting below. If you contribute a poem and comment below you will earn two entries in total. Comments must be received by Tuesday, March 3rd. 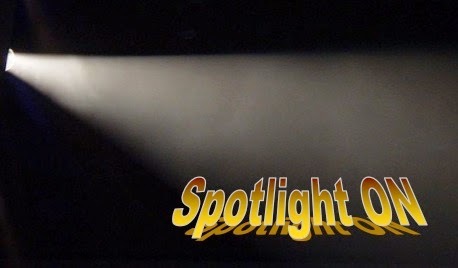 The winner will be determined by Random.org and announced next Friday, March 6th, when we reveal our new Spotlight ON interview and ditty challenge. Good luck! 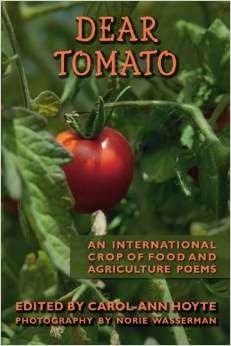 DEAR TOMATO: AN INTERNATIONAL CROP OF FOOD AND AGRICULTURE POEMS, edited by Carol-Ann Hoyte, is ripe for picking and available for purchase on Amazon.com. 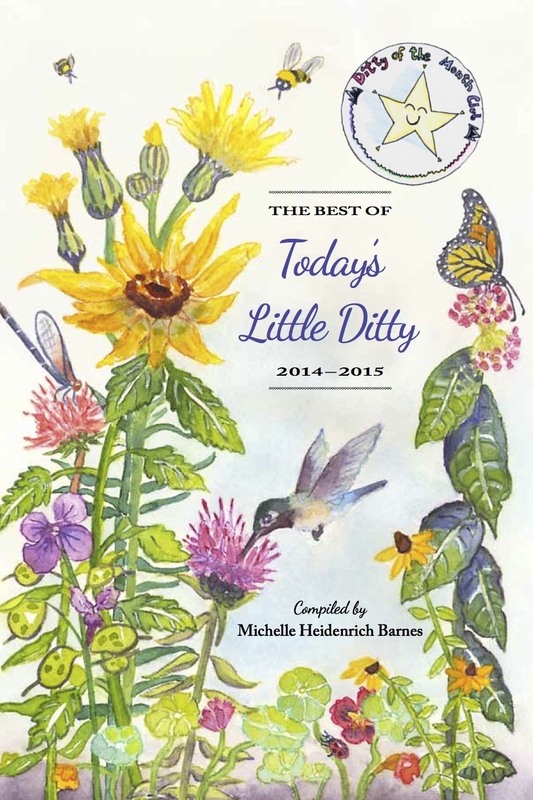 I have three poems in this collection: "The Emperor's Greenhouse," "Compost Bin," and "The Plight of the Honeybee." I will be competing once again in this year's March Madness children's poetry tournament, which begins March 8th. 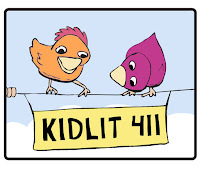 Please support our vibrant children's poetry community by following along at Think Kid Think. If you are a teacher, I hope you will register to be an official voting classroom. 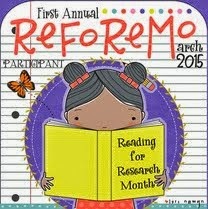 Also in March, I will be taking part in Carrie Charley Brown's month-long examination of picture books as mentor texts: Reading for Research Month (ReFoReMo). Be sure to register by March 1st to be eligible for prizes. Today's Poetry Friday roundup is being hosted by the incomparable Heidi Mordhorst at My Juicy Little Universe. David Elliott has challenged us to write a letter poem this month. I'm still looking for a couple more to feature as this week's daily ditties, so click HERE if you'd like details on how to participate. David Elliott has challenged us to write a letter poem this month. I'm still looking for a few more to feature as this week's daily ditties! Click HERE for details on how to participate. 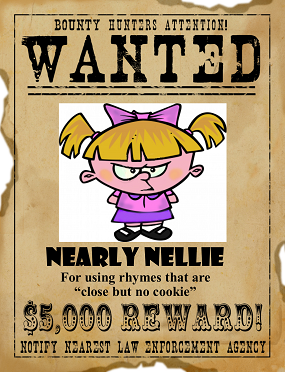 Beware of rhyming criminals in pigtails! Fortunately, Carrie Clickard's on the case. Tick, click, make your meter stick! Are you plagued by shuffling shambling igor-meter? Time to join the Rhyme Crime investigators. We’re on a mission to pick a meter and make it stick! 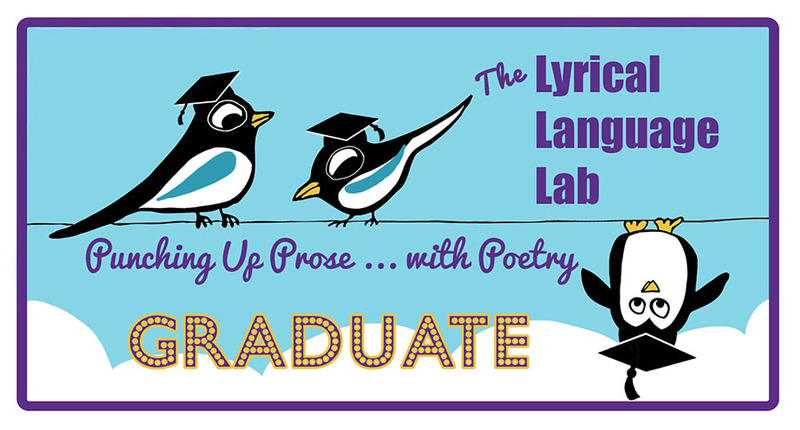 In the last Rhyme Crime post we talked about choosing the perfect meter for your rhyming story. If you missed it, you can sneak back and review that post HERE. Now we’re ready to tackle some of the criminals who may be lurking inside your otherwise outstanding verse. The one thing all those aliases have in common is the word ‘rhyme’, which is a bit of a misnomer. Sure we sing them along with Pharell or Meghan Trainor. And we skim right over them on Hallmark cards. But for those of us writing in rhyme, especially for younger children, the standard is this: if your first grade teacher would mark you down for saying two words rhyme, then so will an editor. In other words, near rhymes aren’t rhymes at all. Yes, indeed they both have a similar vowel sound 'ur'. But –ORK and –URT don’t rhyme. Remember those rhyming worksheets your teacher used to hand out? This is like rhyming FORK with SHIRT – and would earn you a big red X. Again, we’ve got a similar vowel sound “eyen” in the IN – but the properly pronounced D in "behind" disqualifies this as a rhyme. Now just for fun, let’s do one that will cause some disagreement. As they grow restless, longing for some solitary company. Now half of the critics out there will be happy with this pair. They both end with “EEE” as the last sound. And they reason we rhyme lots of words based on that, like bee and see and tree, etc. But in the opinion of others (like my own poetry professors), company and Serengeti do NOT rhyme. They take the last two syllables as a “double-rhyme”, so thus: kum-PAN-EE and sair-en-GET-EE. Near rhyme or not? Can’t we all just get along and sing? To which I will answer: Yep, it happens. Sometimes the writer breaks the rules to keep the story working. Sometimes they break the rules because there is no other perfect rhyme. And sometimes they get to break the rules because they are (insert famous name here) and they’ve got a dozen bestselling picture books. And here’s the real world truth: until you get several successful books under your belt, you’re going to be held to stricter standards. An editor viewing your work for the first time won’t know if you’re using a close rhyme because it’s the best rhyme possible, or if it’s because you don’t know any better. There’s no need to risk that bad connotation when, with some hard work, you can fix it. Yes, I do mean hard work. In my first picture book, the main character’s last name started out as Higgins. I meant that to rhyme with riggings like you find on a boat (since she was a pirate). But there were two problems right from the start – first of all rigging is plural without an s. So when using the word in a grammatically correct way, I would have to rhyme Higgins with rigging. INS doesn’t rhyme with ING. FAIL. Worse yet, even if I dropped the s from Higgins, I would be rhyming Higgin with rigging. IN and ING don’t rhyme either. I had myself two close rhymes packed into the same couplet. So after toying with around thirty other last names, I landed on Barrett which rhymed with parrot. Phew. Hard work? Let me tell you. If you’ve got a rhyming piece you’re working on, do a quick scan of the stanzas. Any Nearly Nellies lurking? Take the time to fix them now, before they sink your next opportunity. Maybe your star word has a synonym you can replace it with: trade boat for ship, mug for cup, bonnet for nightcap. Yes, this will require a rewrite of both lines, but in the end you’ll have strengthened your rhyme. Move that star word to the inside of the phrase instead of the end of your line. For example if your current line is “Would could use a silver lining?” try morphing it into “Need a lining – make it silver!” or “Silver linings – come and get one …” or a dozen better phrases I’m sure you’ve already thought of. There are times that the answer is right there, under your nose, but you’re too close to see it. Ask a trusted writer friend how they would fix the problem. A fresh pair of eyes, and a fresh mind, can sometimes point out an easy fix if we’re smart enough to just ask. Sometimes, if it can’t be fixed, you’re faced with chucking it and rewriting the couplet or stanza from scratch. It can be frustrating and painful, especially if the phrases in question are key to your plot/image. This is where you need to be an honest judge of what can and can’t be fixed. Don’t be lazy. Your poetry will suffer if you consistently settle for second best. At some point you reach the point that a story/poem will only suffer if you tinker with it. Your heart tells you it’s time to leave it be. Trust yourself. You’ve done the hard work. Now let the verse speak for itself. Phew. Time for a pat on the back. Chasing down Nearly Nellie is tough work, but your reward will be stronger verse set to impress any editor. Thanks for joining us for another Rhyme Crime investigation. rhyming expertise to Today's Little Ditty! 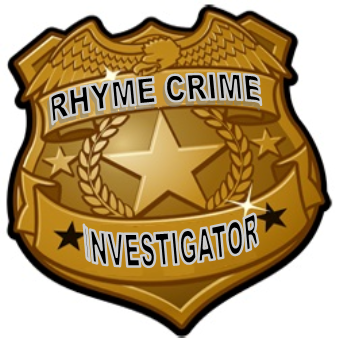 To find out what other rhyming criminals are lurking, be sure to check out the first two posts in Carrie's Rhyme Crime series – Carrie Clickard: Rhyme Crime Investigator and Step One– PICK A BEAT. Would you believe there's only ONE WEEK LEFT to submit your letter poem for David Elliott's DMC challenge? My mailbox and I eagerly await your contributions! This week I featured poems by Michelle Kogan and Jan Gars. Today's Poetry Friday roundup is being hosted by the generous and talented Linda Baie. You can find her shining her light over at TeacherDance. 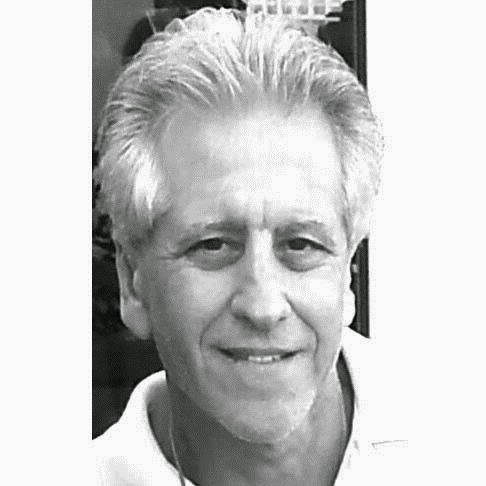 Jan was a jack of all trades and a true renaissance man/ MacGyver as he was called by his children. He was a lover of both plants and animals, owned a working farm and was cultivating his own orchard. His veterinary practice, Oak Ridge Animal Hospital, served the Ocala, Florida community for 35 years. He has always been a lover of the arts. In the 1990s he hand-made dolls and sold them at art shows. 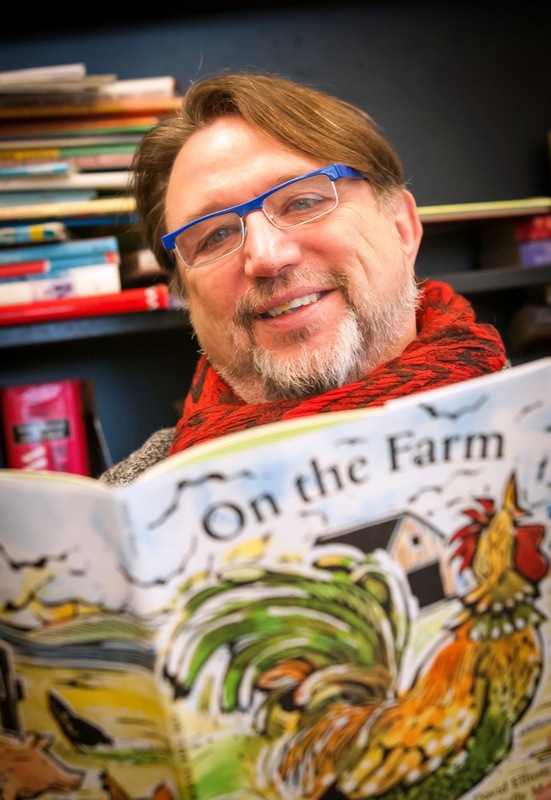 He has always been a painter and poet and in recent years he also started writing children's books including The Enchanted Rocking Horse: A Collection of Childhood Dreams. David Elliott has challenged us to write a letter poem this month. Click HERE for details. my best friend is the man who'll get me a book I ain't read." There will be no more running with scissors at Today's Little Ditty! Today, I expect, will be different. It's almost Valentine's Day for goodness sake. How bad could it be? 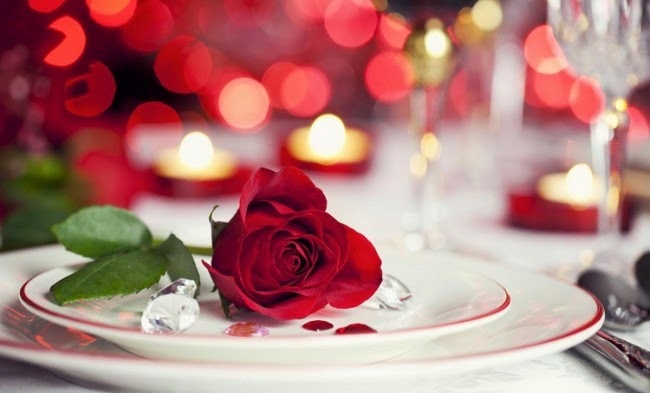 No silly Friday the 13th superstition is going to interfere with my romantic Valentine's celebration. Besides, we have limerick master Neal Levin here with us today. 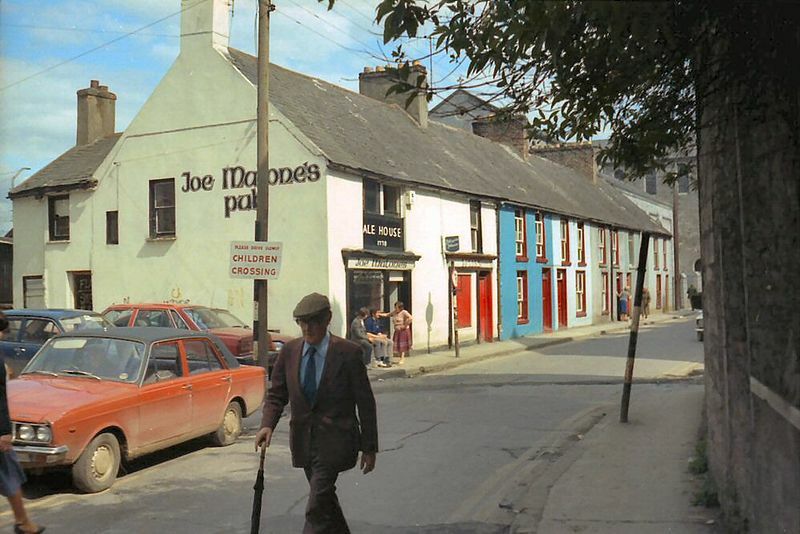 He's won the Saturday Evening Post Limerick Laughs contest EIGHT (!) times – 4 times as a first place winner and 4 times as a runner-up. I have full trust in Neal's good taste and limerick-writing ability. A place at our table. So come, if you're able. We'd truly be happy to serve you. Thank you for being my guest in Limerick Alley today, Neal! You are cordially invited to dinner at my house anytime... provided you leave your cannibal friends at home. In case you missed last week's interview with David Elliott, he's challenged us to write letter poems this month. This week I featured my love letter to an Australian Magpie, as well as three other poems by Damon Dean, Katie Gast, and Matt Forrest Esenwine. Keep those letter poems coming! 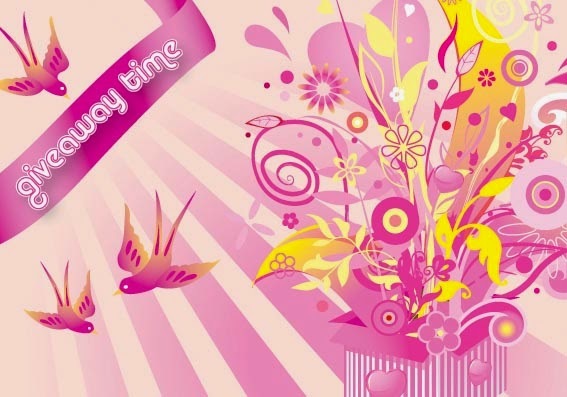 Cathy Mere is hosting today's Poetry Friday roundup over at Merely Day By Day. 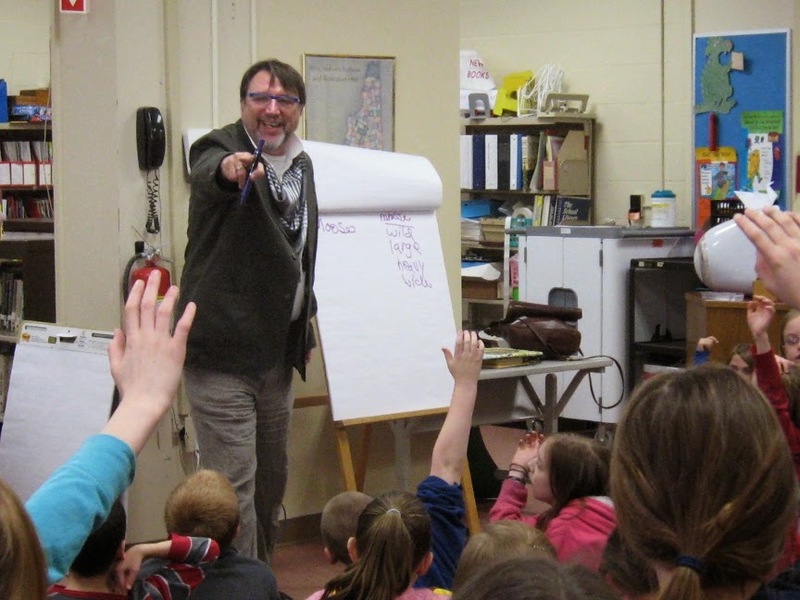 David Elliott is the author of many picture books and novels for young people, including The New York Times bestselling And Here’s to You!. Other books include The Transmogrification of Roscoe Wizzle; Finn Throws a Fit; this ORQ. (he cave boy. ); and the poetry series, On the Farm, In the Wild, In the Sea, and On the Wing. 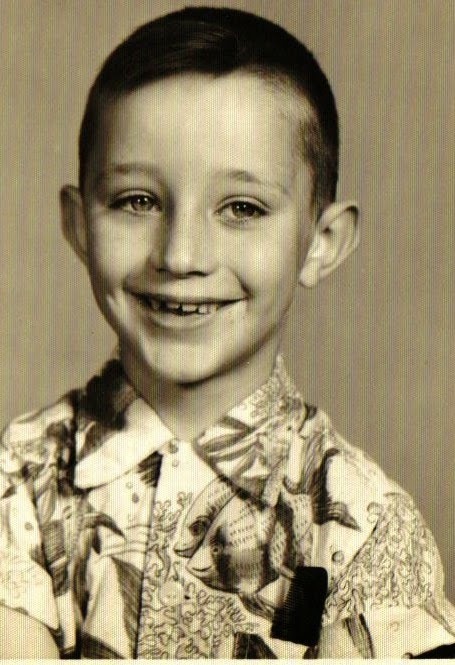 Among the many honors his books have received are The International Reading Association Children’s Choice Award, Bank Street College Best of the Best, Chicago Public Library Best of the Best, New York Public Library Best Books for Children, ALA Notable, and the Parents’ Guide to Media Award. Currently, David has eight books in production, including a YA novel in verse to be published by Houghton in 2017. He lives in New Hampshire with his wife and their Dandie Dinmont terrier, Queequeg. 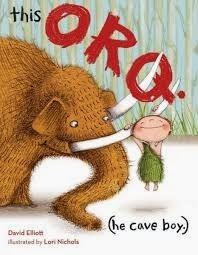 When I approached David about being on the blog, I couldn't decide whether I wanted to feature his delightful picture book, this ORQ. (he cave boy.) (who wouldn't want a woolly mammoth to love this Valentine's Day?) 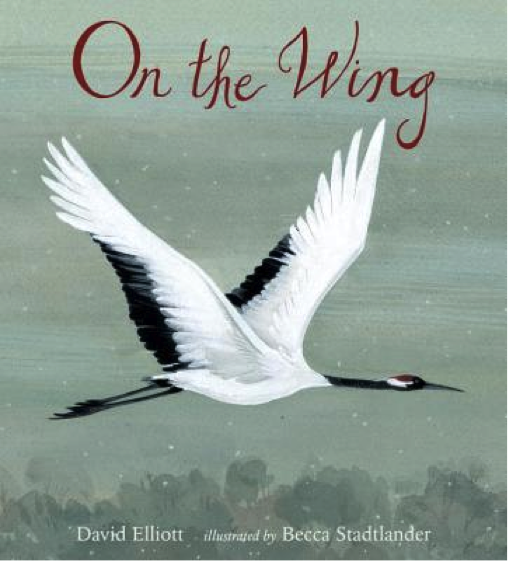 or On the Wing, his captivating children's poetry collection about birds. I presented the options to David and hoped he wouldn't come back with, "Whatever you want is fine, Michelle." He chose On the Wing. Crisis averted. and also how they'd like the book signed or inscribed. For example, 'Book–On the Wing' 'Inscription–to Michelle'." So now I am privileged to tell you all about this gorgeous book of bird poems! I've always liked birds... until I lived in Australia. Then I fell in love with them. Truly. Madly. Deeply. In love. Trust me, the birdsong alone is worth the cost of airfare. David included two Australian birds in this 16-poem collection – the bowerbird and the Australian pelican – as well as other backyard and more exotic favorites. As it happens, neither of the Aussie birds David chose to write about have much of a singing voice, but they are interesting characters nonetheless. The bowerbird is more of a mimic than a singer. My husband likes to tell the story of one who sounded just like a truck changing gears while going uphill. The pelicans we came across preferred to chomp down on little girls' fingers. Had David known about the run-in my daughter had on her third birthday, his poem might have turned out differently.... but I digress. Even if you're not a birdwatcher, a bird-listener, or any other type of bird enthusiast, after reading this collection you will, at the very least, have newfound respect for their different personalities. David's poetry makes certain of that. His wit and wordplay combine with a detailed focus and competent understanding of avian character to create short verse that is concise, graceful, amusing, and unforgettable. 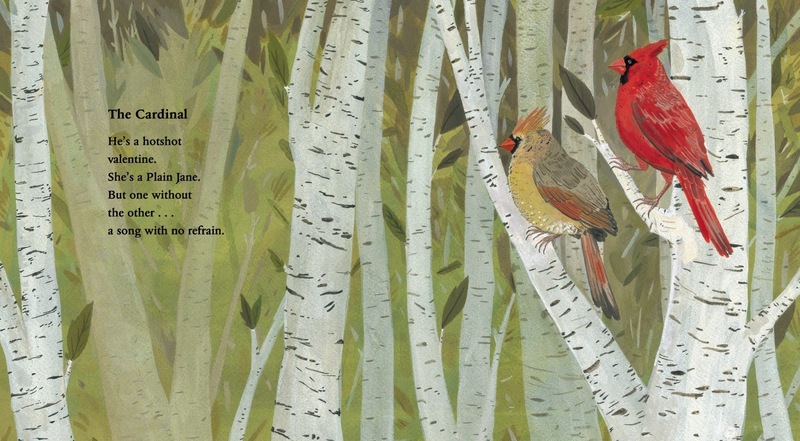 Becca Stadtlander's glorious illustrations are also vivid and absorbing, as she expertly reflects the character and tone of each bird and poem. The result is an engaging collection that children will ask for again and again. Delighted to have you join us at Today's Little Ditty, David! Playing Ghost in the Graveyard (a kind of backwards hide-and-seek) with the Defenbaughs, the Piatts, the Kennedys. Mozart, especially the operas. And Handel’s vocal music. But I love a good folk song, too. And old Broadway tunes. (I’m so not cool.) Gershwin. Noel Coward. Those guys. I grew up singing Baptist hymns. I learned about meter and rhyme from those beautiful, old songs. Was it Katherine Paterson who wrote that living well is harder than writing well? “If we marvel at the artist who has written a great book, we must marvel more at those people whose lives are works of art and who don't even know it, who wouldn't believe it if they were told. However hard work good writing may be, it is easier than good living." I love the inherent sense of perspective in that, and the implied warning about keeping one’s ego in line. I love the work of Wislawa Symborska. My favorite of hers is, “A Little Bit About the Soul”. It would be impossible for me to say which book is my absolute favorite, but the children’s book I think comes closest to perfection is TUCK EVERLASTING. There is so much to admire (and emulate) in this little masterpiece. First, its craft. The Prologue alone is a master class in what writing can be, what it can do. And then there is that central image of the wheel. I’m astounded at the way the book’s architecture supports this image. It begins on the road into Treegap and concludes on the same road, but this time, we are leaving. In other words, Babbitt has structured the narrative itself as a rolling wheel. It’s genius. But more than that, I love what I perceive to be Natalie Babbitt’s intention in the book. I think it was Lewis Carroll who described fairy tales as “love gifts”. For a long time, I puzzled over what that might mean. Love gift. And then it hit me. One of the reasons fairy tales have stayed with us for so long is because they give us a choice. We can read them as stories. (This happened. Then this happened. Then this happened. ) And though the stories often strike us as weird – She turned into a what? – they always satisfy. But when we’re ready we can also read them as comforting and honest (a difficult combination) symbolic expressions of great human truths. 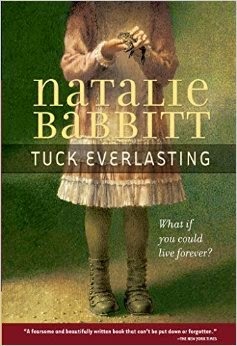 Natalie Babbitt gives us this choice in TUCK, at its heart an extended fairy tale. We can read it as an exciting story about a girl and the fountain of youth. Or, if were ready, we can read it at a much deeper level, taking from it a beautiful, but solemn truth about the human condition. TUCK is surely a gift of love, a love gift. 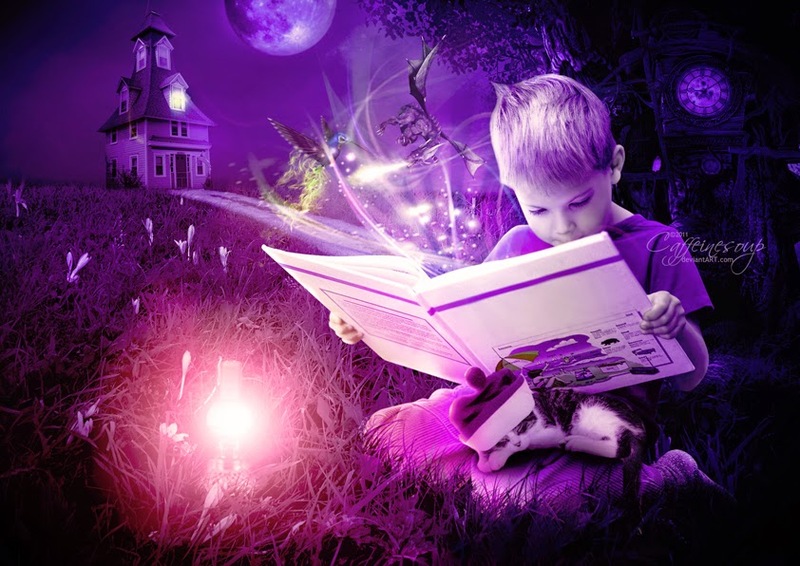 What inspires you to write for children and/or what do you enjoy most about being a children's author? This is a difficult question because the truth is I don’t know. If we want to take a psychological route, perhaps we might find an analogy in the wisdom of Emily Dickinson. 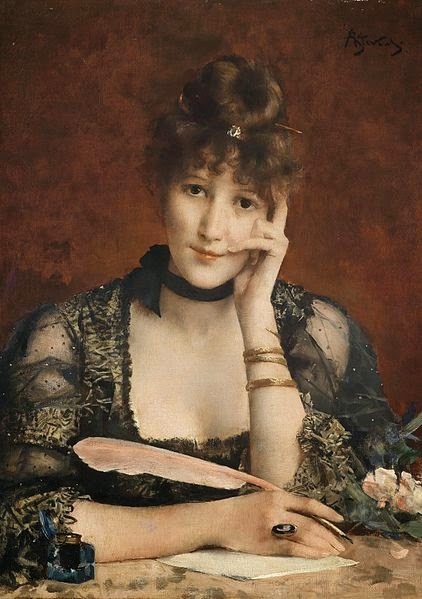 “Mirth is the mail of anguish,” says she. But let’s not take that route. Let me just say that I feel incredibly privileged to do what I do, and take as seriously as I know how the immense responsibility of writing for people who are still developing physiologically, psychologically, emotionally, spiritually. The Great Sendak once famously said that he didn’t write for children. He just wrote and then someone told him who it was for. As much as I admire The Master – and make no mistake about it, I do – I find this disheartening. What is wrong with saying outright that we write for kids? Are we afraid the world won’t consider us real writers? And so what if it doesn’t? I sometimes wonder if the entire industry hasn’t become infected with an inferiority complex. Uh-oh. I can feel myself going into Crackpot Mode. Next question, please. You have amazing versatility as a storyteller. Last fall you had three children’s books released within six weeks of each other: a poetry collection: On the Wing (Candlewick Press); a picture book: this ORQ. [he cave boy.] (Boyds Mills Press); and a young adult novella: Forever and Ever (GemmaMedia). What is your secret to juggling different projects simultaneously? What was the biggest challenge you faced in writing On the Wing? Each of the books in the poetry series (one more on its way) has presented a different set of challenges. I can think of three right off the bat for ON THE WING. 1) In my feeble imagination, all birds had the same set-up. Beaks. Feathers. Wings. Real, real interesting. 2) There are so many of them! How to choose fewer than twenty? 3) I knew nothing – and when I say nothing, I mean nothing, no thing! – about birds. But then, as I began to read and watch and listen to them, both in my yard and on YouTube, etc., they all became interesting. This compounded my difficulties greatly. In the end, I chose the birds based on a couple of criteria. The first was very personal: The bird had to get to me in some way. I don’t know how to explain this really except to say that if I were going to write about it, I had to have something I wanted to say, a feeling I could shape into words. I also kept in mind something my great editor for the series, Elizabeth Bicknell, said when we were working on the second book, IN THE WILD. 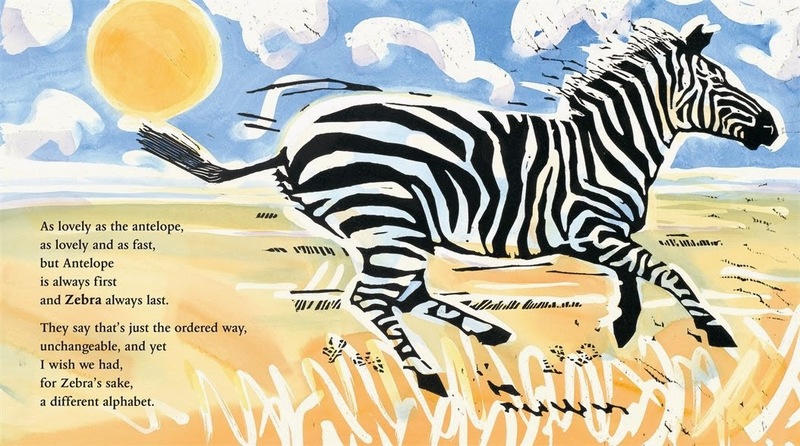 We were talking about the poem for the zebra, the first iteration of which focused on guess what? Stripes. “Stripes?” Liz said with an inflection that only the British seem to be able to pull off. “Oh, David! Can’t you think of anything new to say?” This was tough to hear, but very, very smart. This idea, then, became my benchmark, trying to say something new, or at the very least, in a new way. The second criterion was easier. I wanted to be sure to give the illustrator plenty to work with. That meant selecting birds of various sizes, varying plumage, different environments and habits. While we are all heartbroken to lose Holly [Holly Meade, Caldecott Medalist and illustrator for ON THE FARM, IN THE WILD, and IN THE SEA, who passed away in 2013], I want to say that Becca did a beautiful job. I couldn’t be happier with the illustrations. But the poems are not just about birds. They are also very much about language. I wanted to demonstrate for children the power, the beauty, the resilience, the playfulness, the extravagance, the economy of their language. I wanted to imply that there is meaning, too, in what isn’t said. I wanted to show children how malleable their language is, how it can be shaped into a form, and how the form itself can have meaning. All that and more. It’s up to others to judge how successful I’ve been, but that’s what I was striving for. It’s what I’m always trying to do. Would you share a selection from On the Wing? a song with no refrain. If you were a bird, what kind would you be? Well, I’m afraid of heights, so I wouldn’t be one of those majestic, soaring types. And I’m a homebody, so nothing too exotic. I love crows, their intelligence, their assertive blackness. But that voice! That’s a problem. (I wanted to be an opera singer.) Some of my smart-aleck friends – they’re all smart-alecks, by the way – might suggest a mockingbird. I wouldn’t mind that really because of the way those lovely birds sing. And sing. And sing. Currently, I have eight books in various stages of production. All of them coming out in the next two or three years. I’m also working on a novel in verse that will be published by Houghton in 2017. It’s one of those outside-the-box projects, so I feel very, very fortunate to have signed it up with the brilliant Kate O’Sullivan at Houghton. (Also thank you to my incredible agent, Kelly Sonnack at ABLA.) I’m just finishing up a middle-grade novel that I’ve been working on in one way or another for about five years, and I always have a picture book or two rattling around in my head. I’d like to do a book of ghost stories one day. Eventually, I’d like to get around to some creative nonfiction for adults. 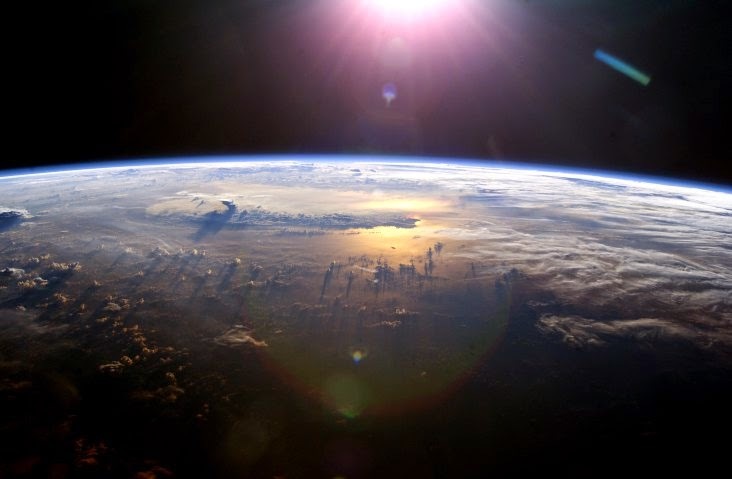 The responsibility of such a thing is almost beyond the powers of my imagination. I guess I would tell them that each of their lives is a like a book with a beginning, middle and end. I would say that like any book, some of the chapters will be wonderful and, like any book, some of the chapters will be difficult. I would tell them to expect surprises, all kinds of surprises, big and small, welcome and otherwise. I would tell them to have hope, especially when the situation seems hopeless. And I would suggest that a sense of humor can get them through almost anything. I would tell them that kindness is a strength and that courage is sometimes silent. I would tell them to take each other's hand and not let go. ... hmm? Oh, sorry. I was cleaning up the mess from where my heart melted all over the floor. All set now. 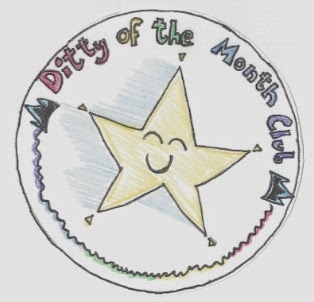 Please tell us what you have chosen as this month’s ditty challenge. Three cheers to you, man of the forest. You arrived here long before us. You paved the way; you saw it through. sitting in our family tree. In that poem, "man of the forest" is an English translation from the Malay orang utan. Good luck! And they say letter writing is a lost art. Pshaw! Sounds to me like another great DMC challenge! I eagerly await your replies. 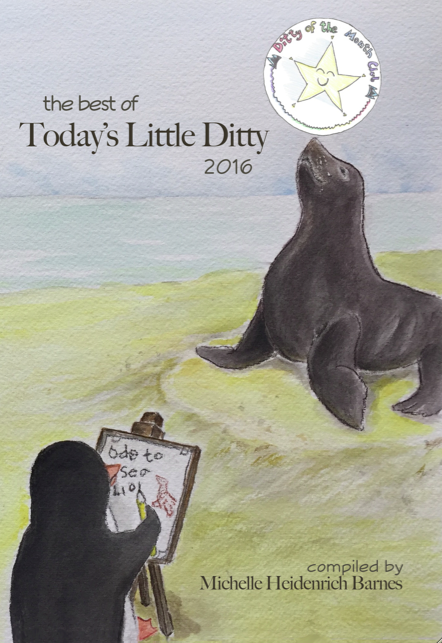 Throughout the month, send your letter poems to TodaysLittleDitty (at) gmail (dot) com or use the contact form in the sidebar to the right. For children under 13 who would like to participate, please read my COPPA compliance statement located below the contact form. Thank you for publishing your poems on your own blogs– I love that! Would you also please send me a copy of your poem or a direct link to your post? That way I know I won't miss it, and I also know that I have your permission to post on Today's Little Ditty. Some poems may be published on the blog as daily ditties, but all of them will appear in a wrap-up post on February 27th, 2015. And, yes, your wish is my command. As extra incentive, David has generously offered a personalized copy of On the Wing to one lucky participant, chosen randomly at the end of the month! Thank you for sharing your thoughts, insights, and personality with us today, David. It's been such a pleasure to interview you! Allow me to extend one more THANK YOU to everyone who participated in last month's ditty challenge, brought to us by Joyce Sidman. The turnout was fantastic and the Deeper Wisdom poems were truly inspired! 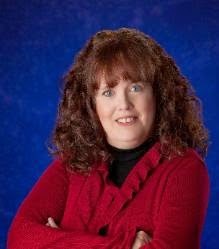 KATIE GAST – congratulations Katie! 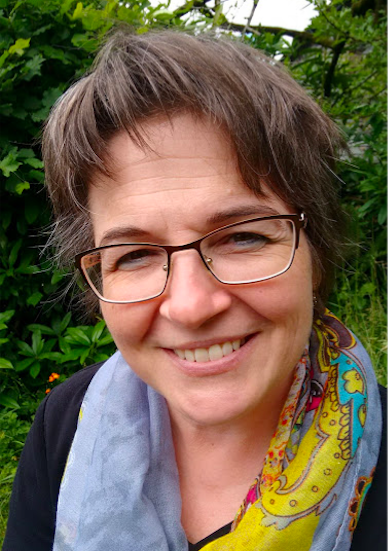 Today's Poetry Friday roundup is being hosted by the talented Liz Steinglass.